Good morning! 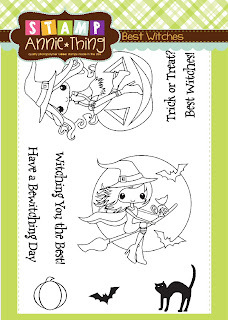 Ruza here to share another batch of Halloween Treat Bags using the Best Witches stamp set. First, I wanted to share that in our neighborhood we always have Trick-or-Treating the Sunday before Halloween so that the kids can trick-or-treat during the daytime hours. No evening doorbells being run here. Thankfully! That being said, even though we had like 200 kids come by I still have a TON of candy! So I decided to make NEW Treat Bags for my daughter's classroom - 9 in all! I started with these bag I bought years ago at Hobby Lobby, which I just found this weekend, and filled them up with candy. I like these because they have a zip-lock at the top for closing. I added a line of 1/4" tape to the bag above the zip-lock on the back. This allowed me to line up the bag inside the Clean & Simple (CAS) topper I created. I pulled out some Black and Orange cardstock, cut to size and scored each piece. Next step was to stamp the sentiment, and the fun black cat and bat, from the Best Witches stamp set with Memento Tuxedo Black Ink. 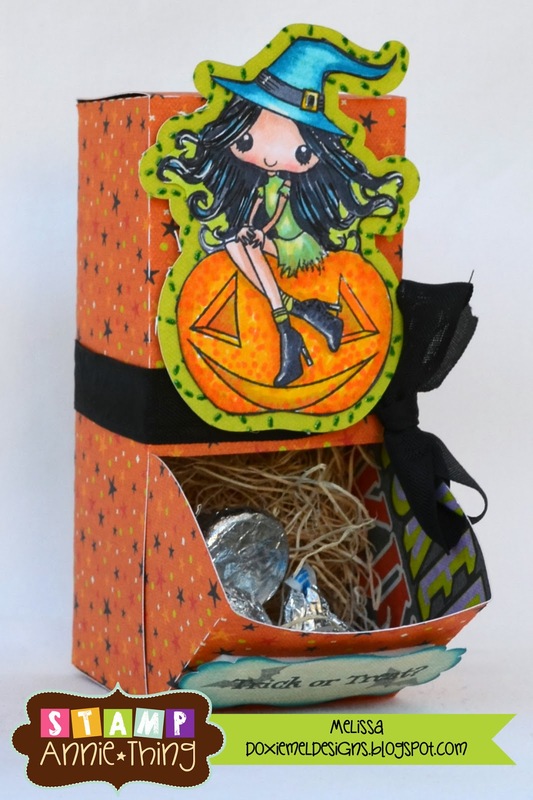 After folding the cardstock and placing the bag, I used my Tim Holtz Tiny Attacher to secure the treat bag. I also made 4-more bags for my daughter's teacher and the teacher's aides in her class. This super cute set is available in the store, and is perfectly perfect for all of your Halloween projects! 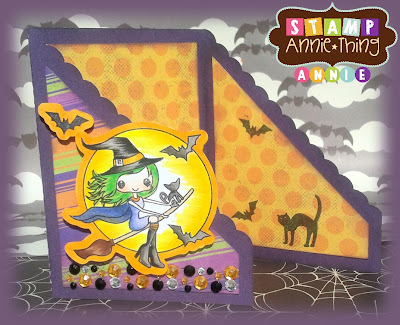 At this time I want to say a BIG Thank You to Anne for inviting me to join her Design Team here for Stamp Annie*Thing. 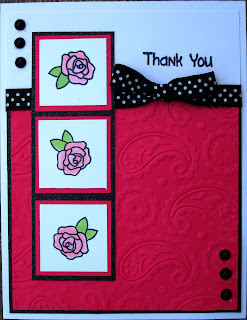 It has truly been a pleasure working with her stamps and sharing my designs with all of you over past the 8-months. Wishing you all the best, and I hope to continue to see you around blog-land! Happy Monday. Barb here from BugBites with a Thank You card to share with you today. 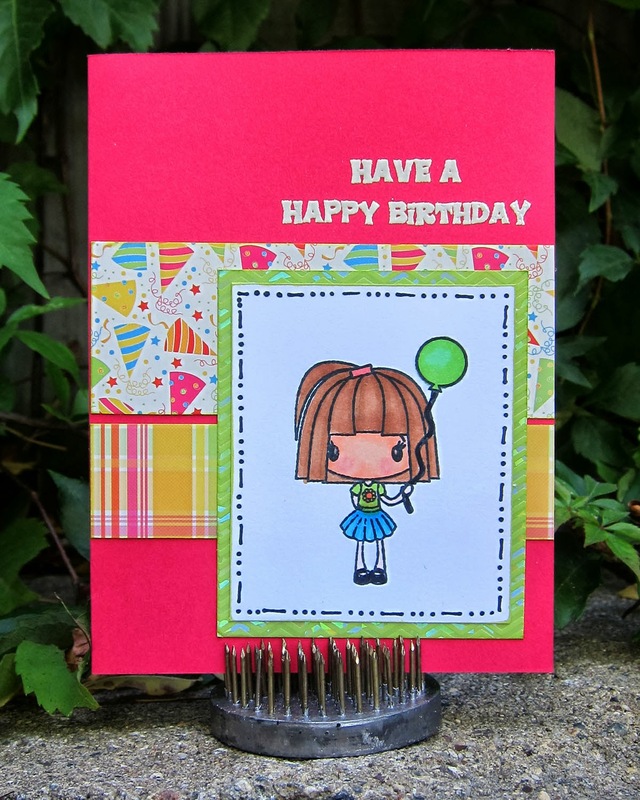 I used a couple different Stamp Annie Thing stamps this week to make my card. 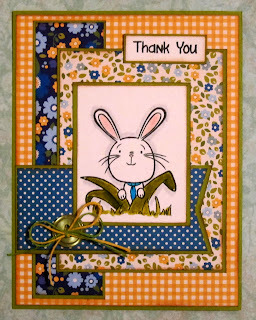 The super cute bunny comes from the For Peeps Sake Stamp set and the sentiment is from the One Cool Cat set. I added a little button with some hemp and I have a pretty Thank You card for my stash. I'll be back in a couple weeks with another sun project using Stamp Annie Thing Stamps. Good Morning! Melissa here with a Halloween Card to share with you today. This card fits a standard business size envelope. I welded a Halloween Title from SVG Cutting Files and this one is a freebie!. It comes with a "o" but I replaced that with this adorable witch image from Best Witches. She is colored with Copic markers. This makes an adorable card and I am sending this to my sister so she can place this in her scrapbook with Halloween photos of her little ones. She is not a crafty person and loves when I send her goodies like this. Good morning! 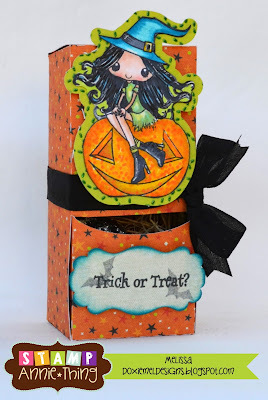 Ruza here to share a Halloween Treat Box using one of the many images available in the Best Witches stamp set. I don't have a cutting machine so when I saw this cute Mini Take Out Box Die it went in my cart. After cutting out the die with my Cuttlebug, I stamped the cat with Memento Tuxedo Black ink on each panel of the box, added Distress Ink, and then used Scor-Tape to put the box together. The last step was to add the Charcoal Twine for the handle. Super easy! Hello and Happy Friday! 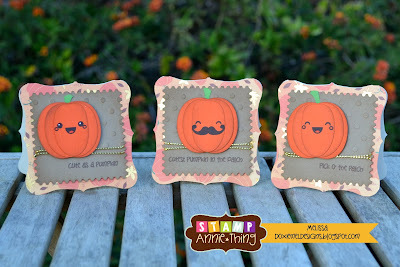 Melissa here with three fall pumpkin cards. I mixed two Stamp Annie Thing sets to make these cards. All of the sentiments on these cards are from Our Lil Pumpkinhead and the faces are from I'm Nerdy. Good morning! 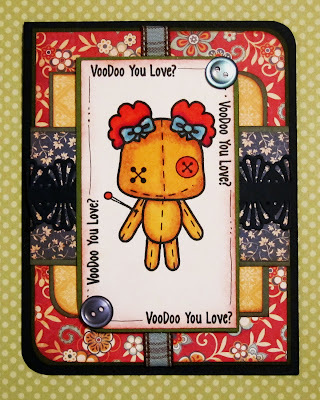 While thinking about today's post an idea popped in my head featuring the adorable VooDoo Dolls stamp set. This is my first time creating with these adorable Dolls, and it was truly a lot of FUN! My idea was to create a dysfunctional family with these adorable VooDoo Dolls. Truly reminds me of all the "Craziness" that has happened in the family I grew up in. If I wanted to be true to that I would have had to make a much bigger card so that it would hold 9 VooDoo Dolls. Seriously, 9 ... I'm the 2nd to the youngest. So "Craziness" was the norm in our house. Back to my card! Each of the VooDoo Dolls were stamped with Memento Tuxedo Black ink a couple of times. Once on the cardbase, and then extra copies for coloring. They were colored with Copic Markers, cut out and layered over the design on my cardbase. The final step was to add the sentiments along with the buttons in each corner. 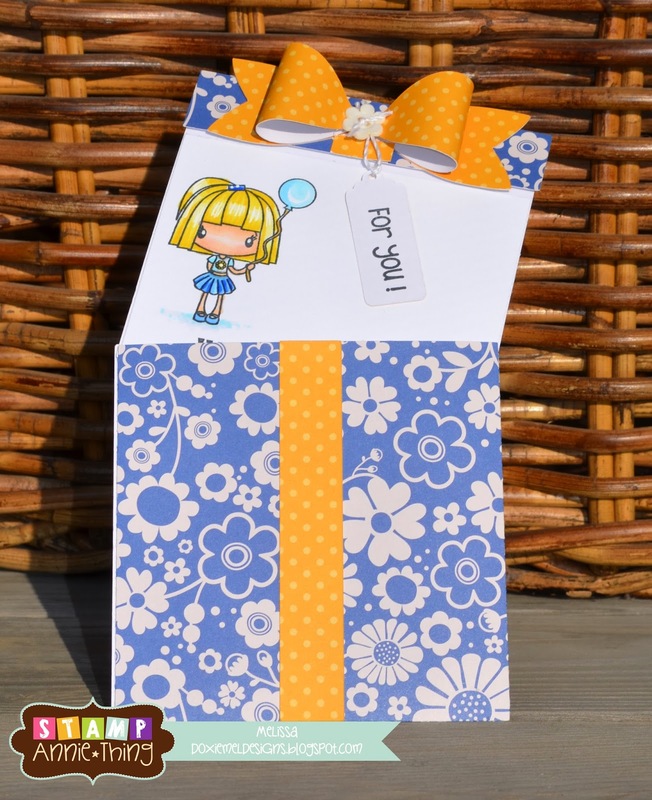 This adorable set is available in the store that can be used for many different occasions! Happy Monday! It's Barb from BugBites with a very simple little card for you today. I did a little 3" note card for a friend. Just a little note to say hi that I can include with some treats. 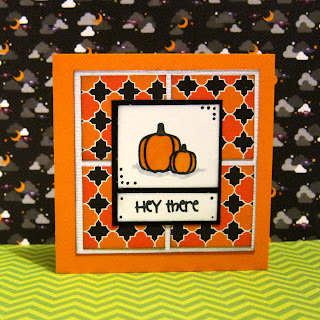 I used the Our Lil' Pumpkin head stamp set since it has the cutest little pumpkin on it which worked perfectly for this card. This is a great way to build your stash and use up some scraps . See ya back here in a couple weeks with another Stamp Annie Thing project. Good morning! Ruza here to share a few Halloween Treat Bags using the Best Witches stamp set. With Halloween fast approaching it's time for me to make Halloween Treat Bags for my daughter and her classmates. I found some Medium Glassine Bags in one of my craft cabinets that I forgot about. Combine the Glassine Bag with cardstock, washi tape, ink, enamel dots, and the cool black cat and sentiment in the Best Witches stamp set and you have everything you need to make some cute treat bags. Good Morning- It is Melissa with a new project for you. 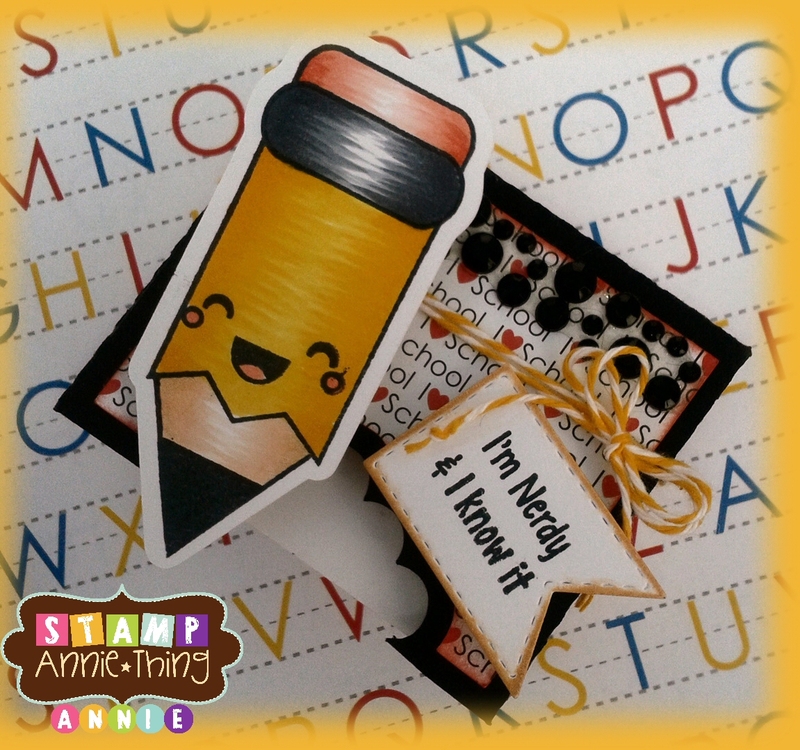 I have been stamping with the I'm Nerdy Stamps and made this fun gift card holder. This smart pencil and "spiral" was colored with my Copic Markers. I hope you enjoyed my project today- Have a Great Weekend! Good morning! 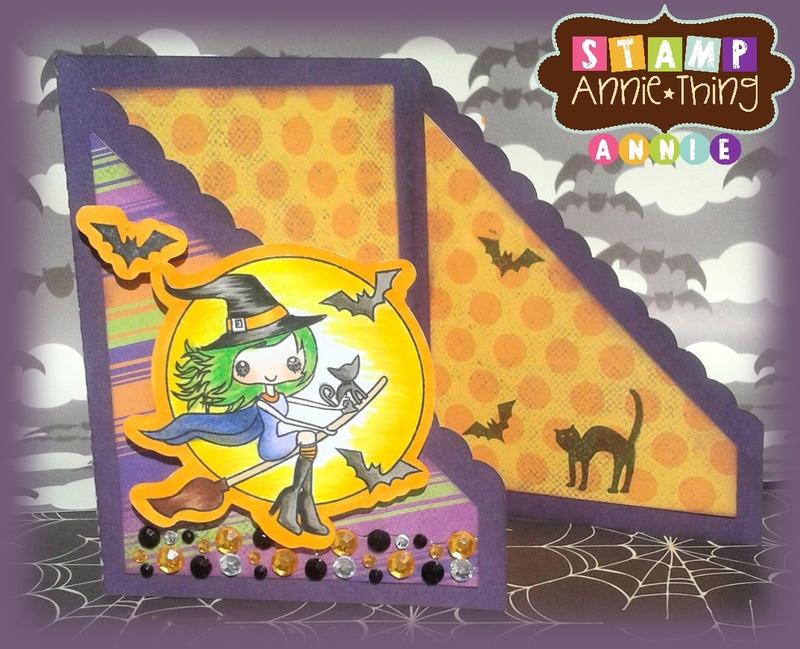 Ruza here to share a Halloween card featuring the adorable Best Witches stamp set. This beauty is called Wendy, and she is flying thru the sky with her friends ... her black cat and the bats! Wendy and her friends were colored with Copic Markers and cut out. I then stamped the image again, cut it out with a Nestabilities Circle Die, and using a dauber I colored the moon with A Muse Lemon Whip ink and the surrounding circle with Tim Holtz Stormy Sky Distress Ink. Once this was dry, I paper-pieced Wendy and her friends on the stamped image. After going thru all of my Halloween DP I settled with the Haunted Manor DP by Doodlebug Design. This super cute set is available in the store, and is perfectly perfect for Halloween! No, not my birthday or anyone I know, at least not today. But you can never have too many B-day cards on hand. It's Barb from BugBites with my design day project for you. I decided to use the Stamp Annie Thing Wish Big stamp set for my simple but cute little birthday card today. I heat embossed the sentiment in white onto the card stock base. Then I added a few coordinating papers, colored this sweet little girl with my copics and I had a Birthday card for my stash. You don't need a ton of different papers for a cute card. Just a few scraps and a great set of stamps. You can pick up this cute little stamp set here. Hello! It is Melissa with another Halloween themed project. I love to make projects for Halloween. I found this candy dispenser cut file at SVG Cutting Files, Zombie Dispenser Box. I just removed the "zombie" face and added the beautiful witch from Best Witches. She is colored with Spectrum Noir Markers. The sentiment is from the same stamp set, along with the bats. I stamped the bats on a piece of scrap paper before I added them to the tag.. to make them look like they are in a misty fog. Below is the candy dispenser with the drawer open... This file is ALL one piece so very easy to assemble. Thanks for stopping at the blog today. Have a great day! Hi everyone! 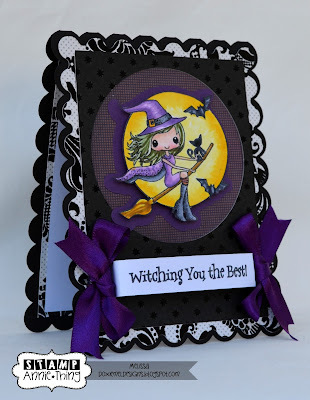 Melissa here with a card featuring one of the Witches from the Best Witches Stamp Set. 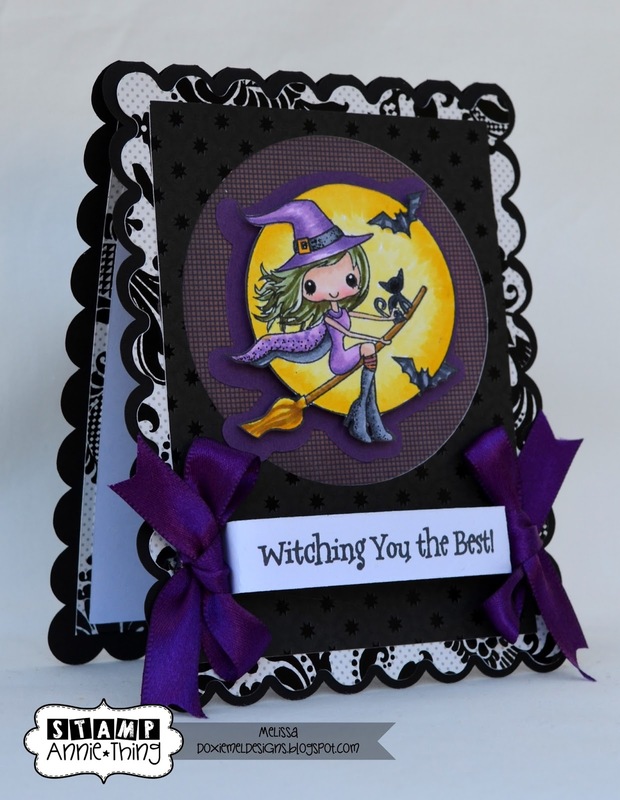 This set comes with Halloween themed images and sentiments. The image is colored with my Copic markers. I stamped the sentiment on a banner die from Jaded Blossom and folded the ends so I could add purple bows on the side. 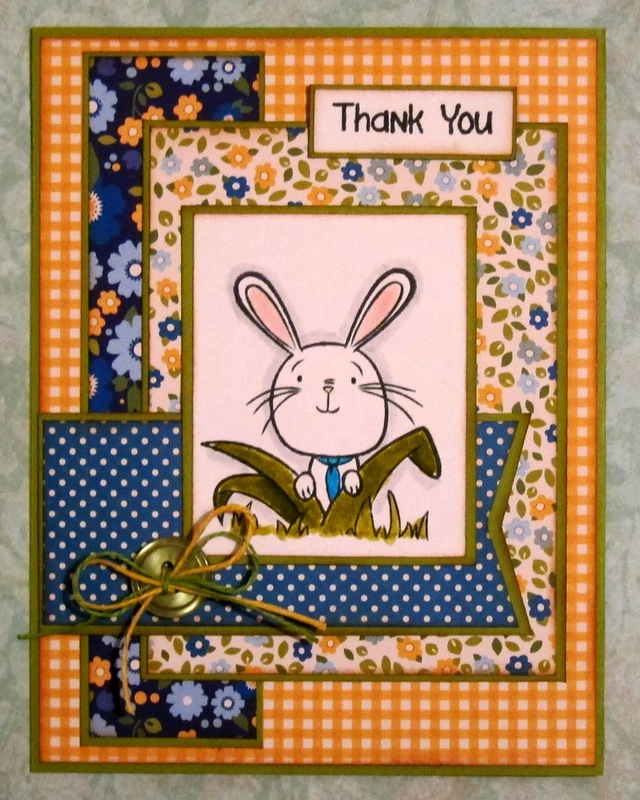 This gorgeous card base is from SVG Cutting files and punched a circle on the top mat to frame this image. This stamp set has so many possibilities and I can't wait to play around with it some more. Thanks for stopping by! Good morning! 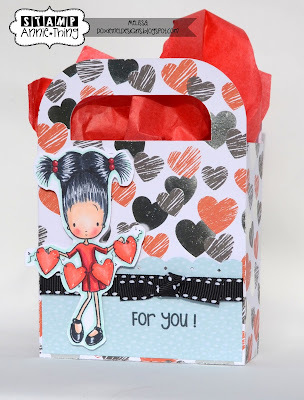 Ruza here to share my card featuring the adorable Lulu's Valentines stamp set. For today's card I colored her skin and hair with Copic Markers, then pulled out my scrap design paper to paper-piece her outfit and string of hearts. Distress Ink was added around the edges, pearls were added to her hair, and 3D Foam Squares were used to layer my CAS design onto my cardstock. I hope today's project inspires you to head on over to the store to check out all of the amazing stamps that we have to offer. Happy Monday. 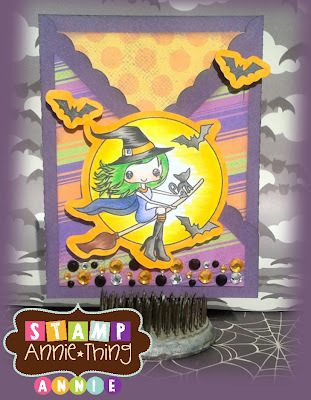 It's Barb from BugBites bringing you another Project using Stamp Annie Thing Stamps. 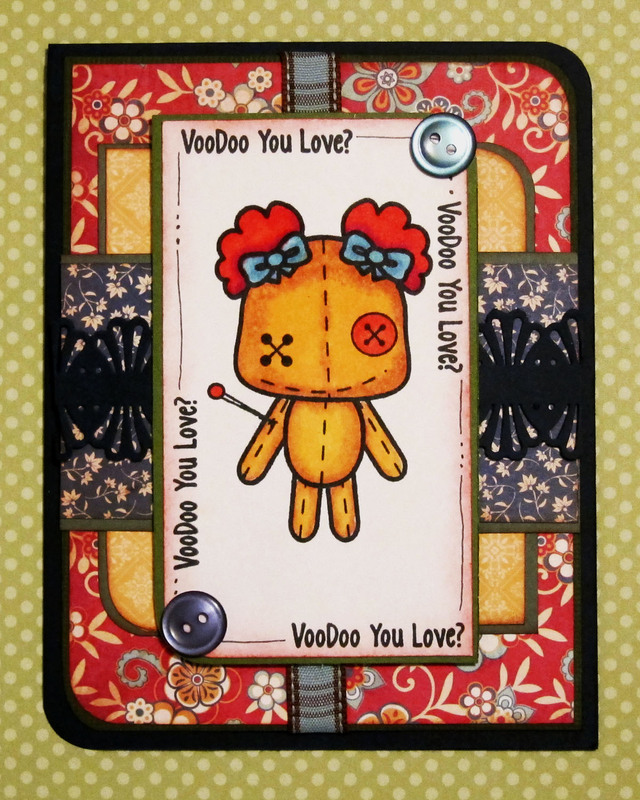 This week, I am using the Voo Doo You Love stamp set. It's a quirky little stamp set, but a lot of fun to play with. The image was stamped and colored with copic markers. I added the sentiment several times around the edge to make a border. The sentiment is included in this stamp set so everything coordinates nicely. You can grab this little stamp in the store now by clicking here. Day #2 Stamp Release, Best Witches! 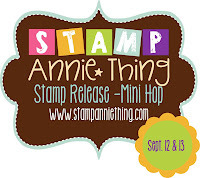 Thanks for joining the Stamp Annie Thing's Mini September Stamp Release! We have 2 great stamp sets to share with you this month. Today we are showcasing our new Best Witches set! This stamp set is available for purchase RIGHT NOW in the store!! 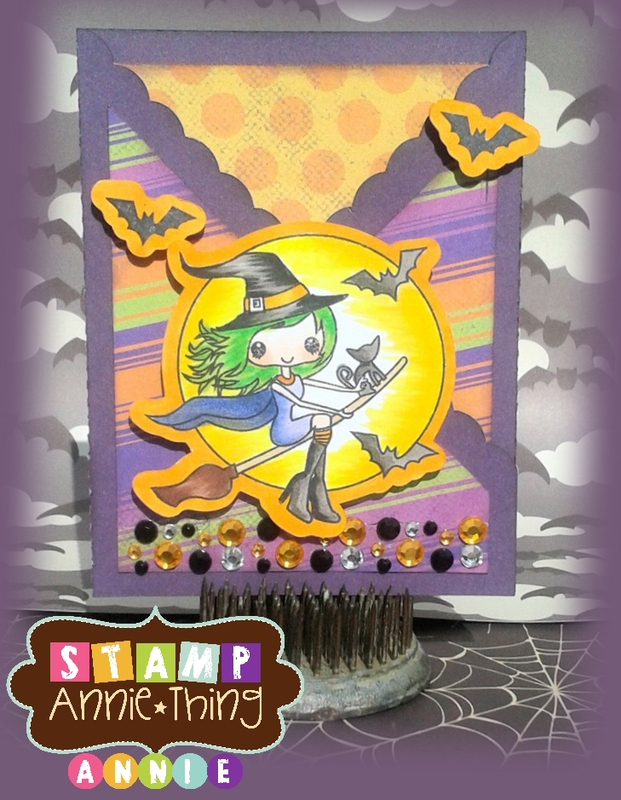 Today I made a simply criss cross halloween card using Wendy the witch! I just used old scraps of paper from my stash..but I love how it all tied in together. Here is an inside partial view... when the criss cross card opens up! Now for the details on how you can WIN this Stamp Set!! *want to earn an extra chance at winning? Share this hop with a friend, have them comment on their post that YOU sent them (just have them state your name) and we will enter your name for an extra chance to win! Here is the COMPLETE blog Line up for Today! 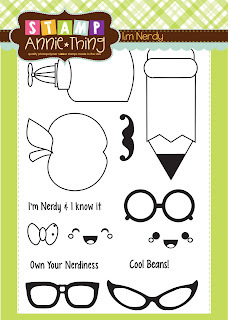 Today we are showcasing our new "I'm Nerdy" set! This is the start of the hop, and the complete line up is below for you to follow. Without Delay, here is the new stamp set, "I'm Nerdy"
Today I made a super cute Notepad holder and Pencil box. I know school has already started..but I just love how it came out and I think it would look cute on a teachers desk! I got the idea for the note cube holder from the $1 bin at Michaels. So I bought a cube of note paper and then measured it out to make a box to hold them. I added some side panels of school themed paper, colored my CUTE Nerdy Pencil and then added some Rhinestone border and Trendy Twine in Lemon Tart. I stamped a sentiment from the stamp set and pop dotted it on the Banner Charm from Jaded Blossom. For the Pencil Box, I used the Cut file from SVG Cutting Files, Valentine Treat Pack, added some Crazy Coral Ribbon from LoveBugCreations and topped it off with the sentiment stamped on the Jaded Blossom arrow die. Good morning. 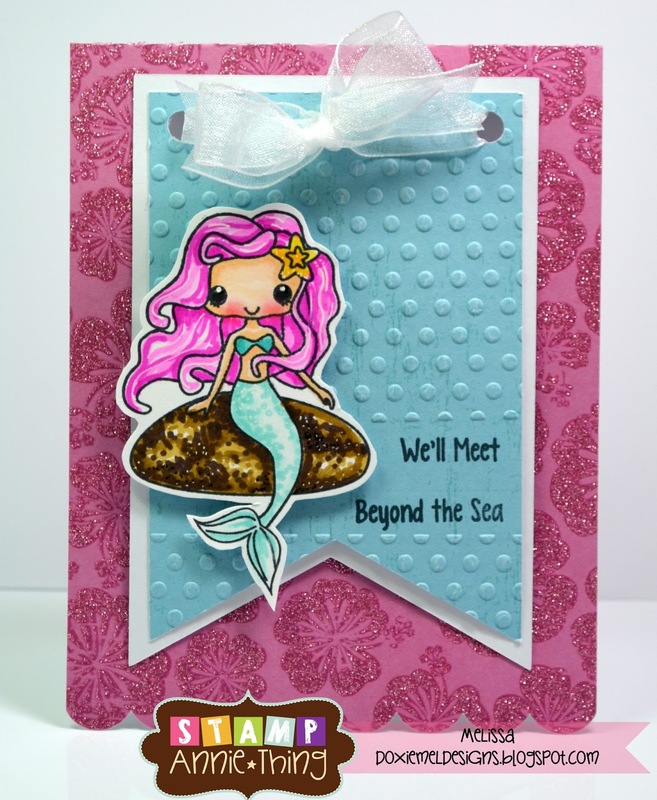 Ruza here to share a fun card I created with the adorable Mermaids stamp set. The Mermaids are so much fun to color! For today's card I pulled out my scrap design paper, and a strip of cardstock that I cut with my border die. 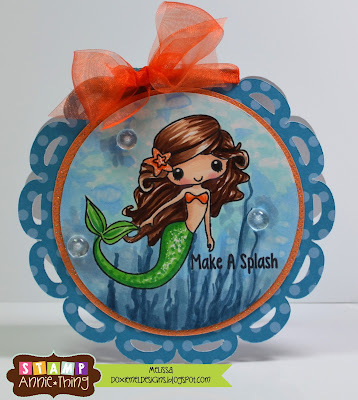 After putting the background together I used 3D foam squares in the center of the wave die to pop it up so that the adorable little Mermaid could be popped up under the waves. Mark your Calendars for the September Mini-Stamp Release. It starts this Thursday, September 12th! Happy Monday. It's Barb from BugBites. It was a busy weekend. My hubby and son ran a half marathon and Sunday I flew to Las Vegas. But before I left I did this quick little card for you today. 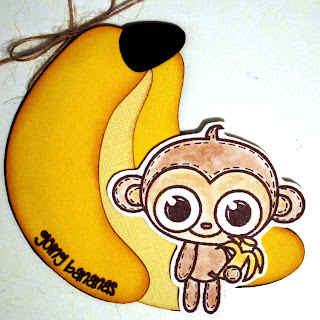 I used the Our Lil Monkey stamp set for my monkey friend and popped him up on a banana shaped card compliments of Miss Ann over at SVG Cutting Files. I colored my lil' monkey with chalk this time instead of my markers. I wanted to try something new. It is a much softer look. 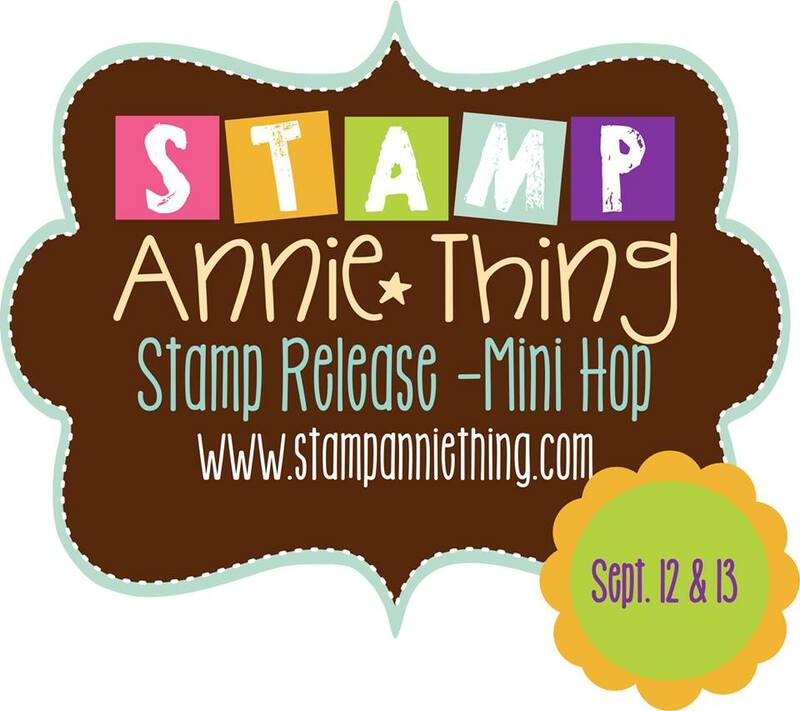 I also want to let you know that there are new Stamp Annie Thing stamps about to be released and we have a release blog hop planned. Mark your calendars. Hello! This is Melissa with a gift bag featuring the adorable Lulu on the front. She is such a sweet image and a fun one to color. I colored her with Copic Markers. You can find several images of her in the Lulu's Valentine set, it was hard to pick one for my project. 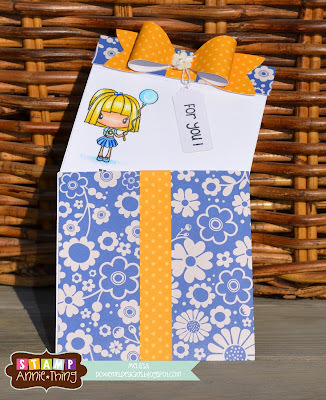 This gift bag file is at SVG Cutting Files, Handle Bag Container. I made this for a little something for my neighbor who was house sitting for me. Sentiment is from Stamp Annie Thing's Wish Big Stamp Set. Good morning. Ruza here to share a couple of Fall Themed Notecards that I designed for my daughter's new teacher. She loves Halloween and all things Fall, so I know she will love these 5" x 3-1/2" Notecards I designed with her in mind. The pair of pumpkins from the Our Lil' Pumpkinhead and sentiments from the One Cool Cat stamp set were just what I needed to make the Notecards. 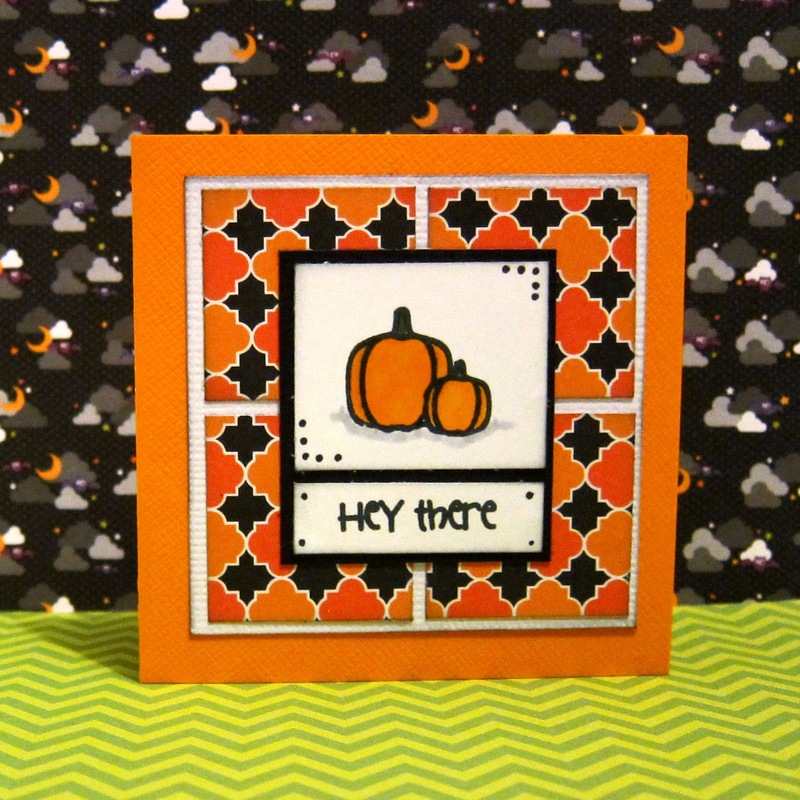 I first stamped the pumpkins and sentiment on the cardstock, then used a Black Multi-Liner and ruler to draw the lines. Copic Markers were used to color the pumpkins, and once the cardstock was added to the card-base I added black rhinestones to the empty corners. Super easy! I then stamped the Pumpkins on the envelopes and colored them in with my Copic Markers. Now that the holiday weekend is over, I will create the rest of the Notecards ... there will be 4 of each design in the set. Happy Monday and Happy Labor day! 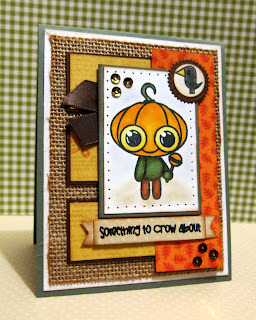 I'm Barb from BugBites and I am here to show you a cute little card I did using the super cute Our Lil' Pumpkinhead stamp set from Stamp Annie Thing Stamps. Last week the weather was sweltering hot. This week, have have jumped right into fall with cooler temps. With fall in the air, I dug out my fall papers and did a little pumpkin card for ya. 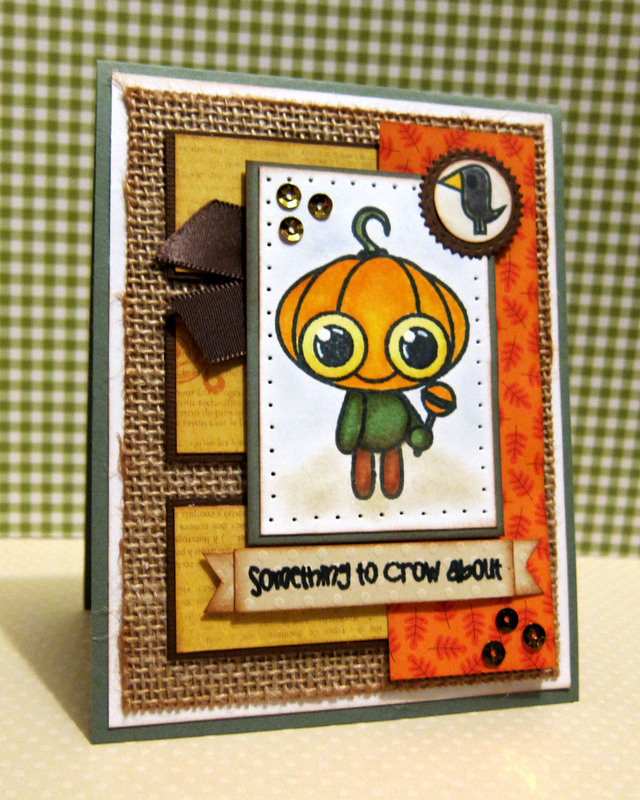 I used the Our Lil' Pumpkinhead stamp set for all the stamped images you see on this card, the pumpkin, the crow and sentiment. I love that burlap paper, yes, burlap paper. I was at Joann's and found a whole 6x6 paper stack of textured burlap paper. I can see I will be using that often this fall on my projects. I have been seeing a lot of projects on the blog with sequins, so of course I had to give it a try. I like the sparkle without using glitter effects. This lil' pumpkin just makes ya smile. 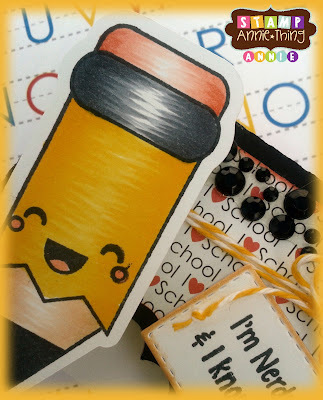 Get all the details on my blog for this project here and I'll see ya back here next Monday with another Stamp Annie Thing project! The image is colored with Spectrum Noir markers and a white gel pen for hi-lights. If you are just starting coloring like me, these are nice markers and a fraction of the cost of Copics. They are also packaged in color families which is very helpful. Good morning. Ruza here to share a Clean & Simple (CAS) card with you today. As I was going thru my stamps I noticed this adorable potted plant in the For Peeps Sake, and just had to make a card for the Clean & Simple Sketch #254. After coloring the potted plant with my Copic Markers, I cut out the circles, distressed the edges, and layered it on my design. I pulled out the sentiment from the Rare Bird stamp set, and added some gems to the edges. The For Peeps Sake stamp set has so many different images that can be used year round. I hope today's project inspires you to head on over to the store to check out all of the amazing stamps that we have to offer. Happy Monday! 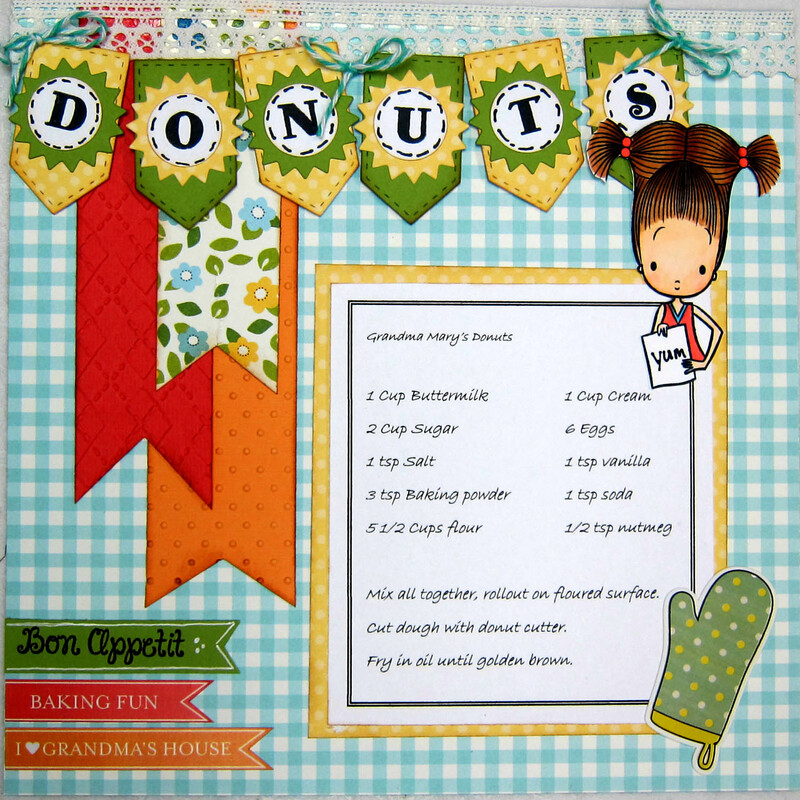 Barb here from BugBites with another project using the Stamp Annie Thing stamps. I have been on a role with recipe pages for my cookbooks and the One Cool Hombre stamp set was perfect for my Taco Dip recipe. I used several stamps from this set. First I stamped the buildings onto burlap paper at the bottom of my page. Then I stamped the cactus, colored it with my copics and hand cut around it. Next I stamped the Lil Hombre, colored and cut him out. 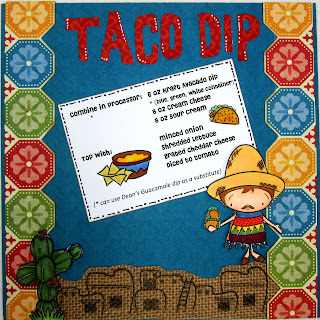 The final touches were the bowl of dip and taco on the recipe card itself. All of these stamps are in this one set of stamps! I'll see ya back here next Monday with another project! Hello Everyone! Melissa here sharing a sweet card made with Stamp Annie Thing's newest set Mermaids. She is so fun to color. I colored her with my Copic markers and even experimented by coloring an under the sea background. The card base is one of my favorite card shape from Circut's Wild Card Cartridge. I hope you enjoyed my card today. Have a great weekend! I created my own DP using the Rose from the Party in the USA stamp set, and coloring them with my Copic Markers. 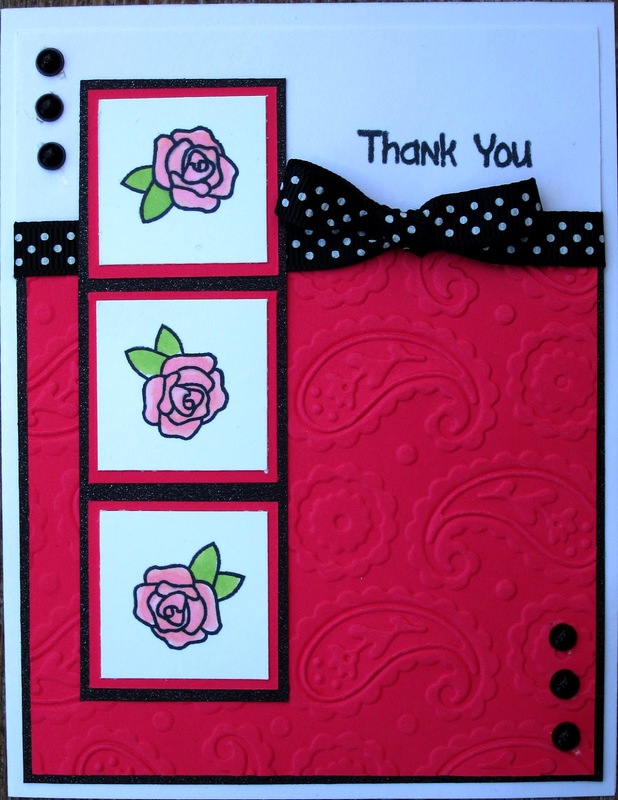 The "Thank You" sentiment is part of the One Cool Cat stamp set. 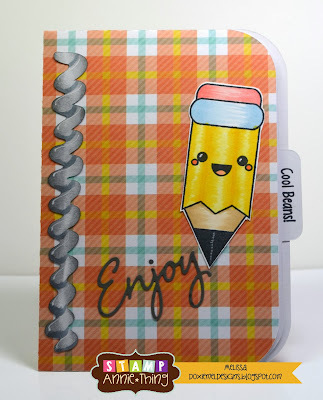 I did not design this Post-it-Note Holder myself, I saw this awesome Tutorial last week over on the MFT Blog, and just had to try my hand at it. Since I am in the process of making Teacher Gifts for an upcoming Craft Fair that benefits the Special Needs Students in my community I thought this would be an awesome addition to the products I'll be offering. I hope today's project inspires you to head on over to store to check out all of the amazing stamps that we have to offer. Hey ya'll, it's Monday and that means it's DT day for me, Barb from BugBites. I was crafting with friends all weekend and did a few projects using my Stamp Annie Thing stamps. For this weeks project I scrapped a recipe for donuts that belonged to my husbands grandmother. I first discovered these donuts at her house when we were dating. Oh, how I miss them but at least I have the recipe. I called upon Lulu from the Lulu's Valentines Day stamp set to do my recipe page. I like how she looks like she is writing down the recipe. Check out my blog for all the details. Have a wonderful week. Good Morning! Melissa here with a tag made with the Here's the Dirt stamp set. The main image on this set is just adorable. To accent the gardening girl, I stamped images from the Here's the Dirt set to create a coordinating background. I colored her with Spectrum Noir markers and added some ribbon and a button. Good morning. Ruza here to share another Clean & Simple (CAS) card with you this week. When I saw the Clean & Simple Sketch #253 over the weekend, I knew it was perfect for a sweet Birthday card. So I pulled out the FUN Wish Big stamp set to create my card. I tend to cut my photopolymer stamps to use only a portion of the stamps when the desire hits, and that is what I did for this card. The small present is part of the Wish Big sentiment stamp in the set, and since I wanted to use both present images I cut the sentiment out. It fit perfectly back together when I was done. I also separated the sentiment so I could place it on 2-lines. The images were stamped with Memento Tuxedo Black Ink, and colored with my Copic Markers. Once I layered the pieces onto my card base I used a White Gelly Roll Pen to add white dots to the big presents and to the ribbon on the small presents, placed the sentiment in the corner, and then I added tiny gemstone to the bow. 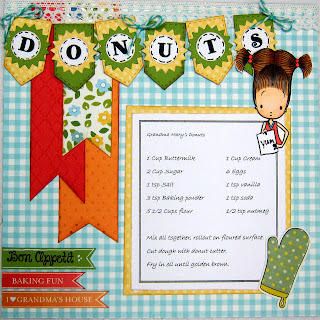 The Wish Big stamp set has so many images and sentiments that are perfect for creating CAS cards. I hope today's project inspires you to head on over to store to check out all of the amazing stamps that we have to offer. 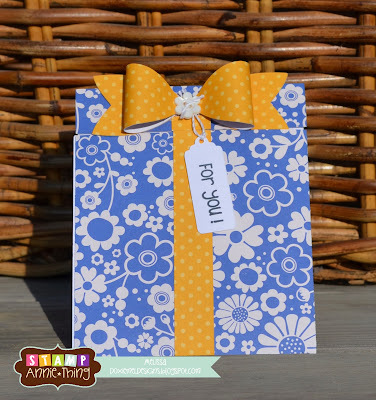 Welcome to Monday and a Stamp Annie Thing project post from me, Barb of BugBites. I needed a quick and simple Thank You card so I turned to a couple of my Stamp Annie Thing Stamps, Party in the USA and One Cool Cat to get the job done. I used the rose flower design three times, colored it with a simple pink and green marker, nothing fancy. I then added them in a single row down the side of my card. This design can be made by mixing and matching many of the images on all the Stamp Annie Thing stamp sets and this is what makes these stamps so great to have in your collection. You'll find all the details for this card on my blog, BugBites. See you next week for another fun project.